Rotterdam and Jubilee Library interim-director Irmin Hughes, youth librarian and public relations officer Mariland Powell and board member Xavier Blackman, children in St. Maarten engaged in lively conversations with young library visitors in Rotterdam. Asking questions about life in the Netherlands and about their peers’ favourite books and food items were Chrisincia Mathew, Ishaan Dhansinghani and Naomi Hibbert of St. Joseph School, Marlena St. Hilaire and Statijah Chinnerry of Dr. Martin Luther King School, Sebastian Warrington of Methodist Agogic Centre’s Browlia F. Maillard Campus and Christopher Chintaman and Niveela Serbony of St. Dominic School. They also answered questions posed to them by the children in Rotterdam, which included questions about life after Hurricane Irma. 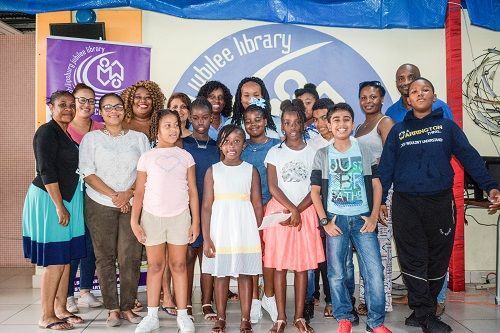 The Rotterdam Library announced during the Skype session that popular singer in the Netherlands Shirma Rouse, who hails from St. Eustatius, had made a donation of 3,500 euros to Philipsburg Jubilee Library. 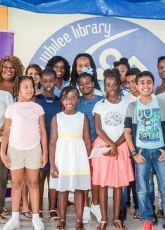 With these funds raised through the sale of CDs a large number of books will be shipped to St. Maarten to provide children with many new books to read. 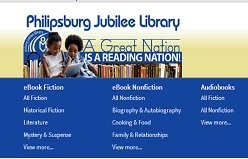 Philipsburg Jubilee Library’s book collection was partly destroyed during the passing of Irma and the children responded to the announcement of the large shipment of new books with loud cheers. The Central Library of Rotterdam is one of the largest libraries in the Netherlands. 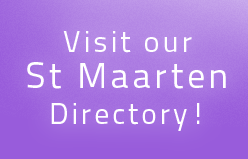 It has more than 2.4 million visitors annually and is the most visited cultural institution in Rotterdam.